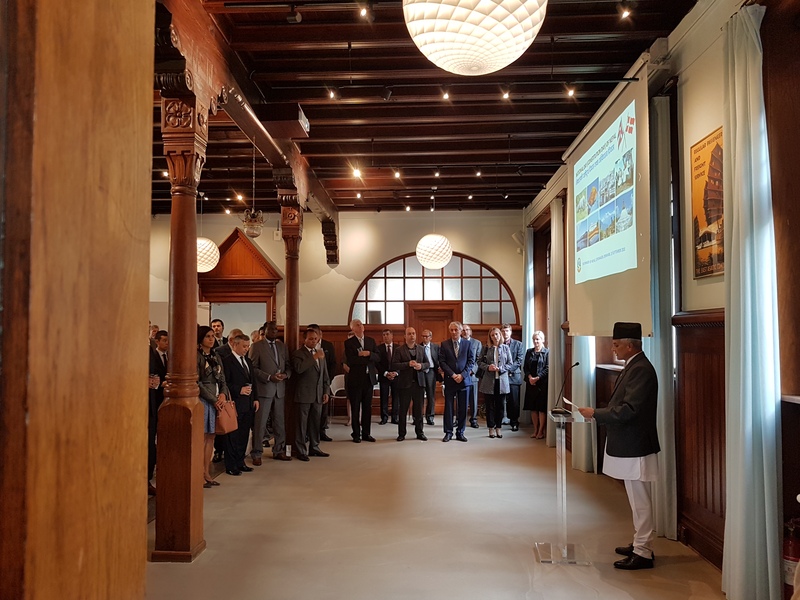 The Embassy of Nepal in Copenhagen celebrated National Day of Nepal organizing a reception and cultural programme today (19 September 2018) at Asia House, Copenhagen. Heads of Diplomatic Missions, high level officials of the Ministry of Foreign Affairs and other government agencies of Denmark and representatives of Nepali organizations were present on the occasion. Various Nepali dances were performed by International Artist Society (INAS), Nepal on the occasion. While delivering welcome speech H. E. Yuba Nath Lamsal stated that the new Constitution has guaranteed all universally accepted democratic and human rights principles, independent judiciary and the constitution promulgated by elected Constituent Assembly has been exemplary in the world. He also mentioned that Government of Nepal is focusing on economic and social development. He further said that it has been a most favorable time for trade and investment in Nepal.